control loop. The text shows how integration of the ideas of control and estimation with those of communication and information theory can be used to provide important insights concerning several fundamental problems such as:Â· minimum data rate for stabilization of linear systems over noisy channels;Â· minimum network requirement for stabilization of linear systems over fading channels; andÂ· stability of Kalman filtering with intermittent observations.A fundamental link is revealed between the topological entropy of linear dynamical systems and the capacities of communication channels. 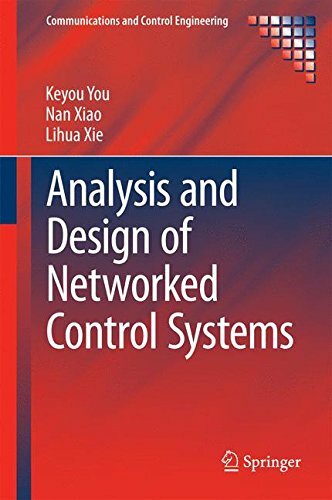 The design of a logarithmic quantizer for the stabilization of linear systems under various network environments is also extensively discussed and solutions to many problems of Kalman filtering with intermittent observations are demonstrated.Analysis and Design of Networked Control Systems will interest control theorists and engineers working with networked systems and may also be used as a resource for graduate students with backgrounds in applied mathematics, communications or control who are studying such systems.